I'm in the San Sebastian Film Festival in Spain, and yesterday we saw THE WEIGHT OF WATER the new Kathryn Bigelow Film, good film but not what I expected. Well, today in a private interview to our magazine we asked her about James Cameron - she told us that he has an advanced project in the works - a film remake of the Japanese manga series "Mazinger Z". 20th Century fox has talked with Bigelow too, and she said she is not interested. 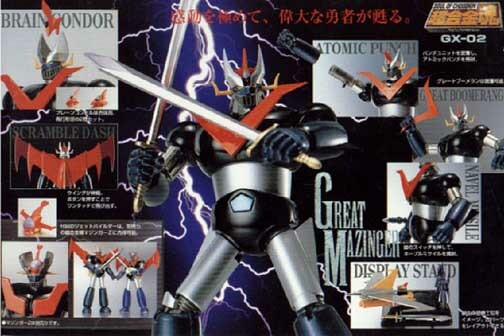 I did a quick bout of Internet research and realized... rather quickly that MAZINGER Z was my SHOGUN WARRIORS!!! OH DEAR GOD... SHOGUN WARRIORS!!! That's right folks... Those toys from the Japanese Anime tv series that came to the U.S. when... gosh... I must've been 7 or 8. It ran in Japan from 1972 to 1974, and has been a part of their culture ever since... Toys, Manga... legos, video games... all sorts of things. Well... I've been hearing for quite some time that Cameron has been over in Japan buying up various ANIME properties... I know that he has BATTLE ANGEL in development with Guillermo Del Toro... and now he has MAZINGER Z in development at FOX... apparently at a far enough stage that not only is he attempting to attach a director... but so is the studio. So... Let's all keep our ears to the ground... SHOGUN WARRIORS on the big live action screen would rule the EARTH!!! Dr. Hell and Dr. Kabuto are two archaeologists who found the remains of an ancient civilization capable of making giant robots. When Dr. Juzo Kabuto found out Dr. Hell's plans of creating the robots to conquer the Earth, he became his enemy and started the construction of Mazinger Z, a fantastic giant robot, as a defense weapon. The story starts when Dr. Hell sends his first assistant, Baron Ashura, to kill Dr. Kabuto. The attempt is successful, but not completely: Just before his death, he is found by his grandson, Kouji Kabuto, and informs him about the recently finished robot hidden on the underground basement. From this moment on, and with the help of Dr. Gennosuke Yumi -Dr. Kabuto's ex-assistant-, the inexpert Kouji manages to learn how to pilot powerful Mazinger. Dr. Yumi also made a robot of his own, called Aphrodite A, and piloted by his daughter Sayaka, which was primarily conceived as a peace time robot. 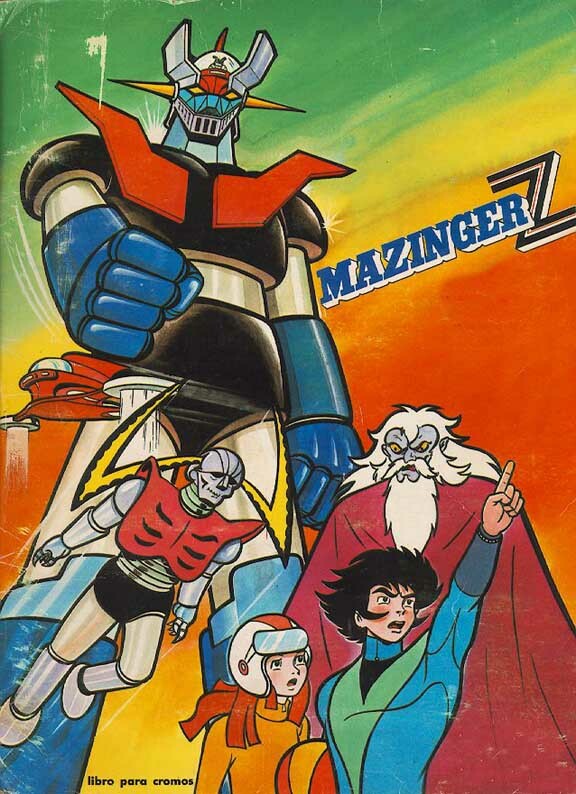 Both Mazinger and Aphrodite together, episode after episode, combat and destroy every mechanical monster created by Dr. Hell and his associates, Baron Ashura and the Iron Mask, until the last episode of the first season, where Mazinger is finally destroyed, and Kouji is supposed to die. 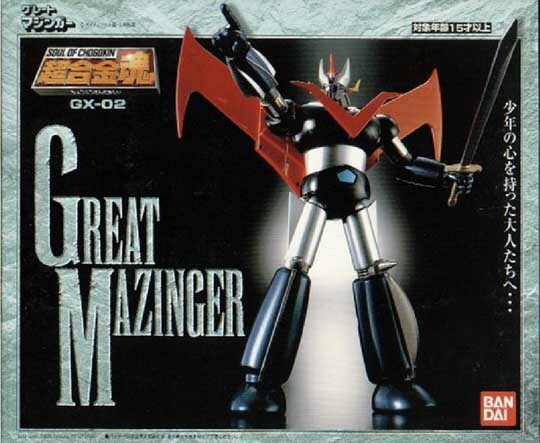 In a second season of the series, a new character appears: Dr. Kabuto Jr., father of Kouji, who wasn't dead, but constructing an even more powerful robot: Great Mazinger... Anime series composed of 92 episodes.